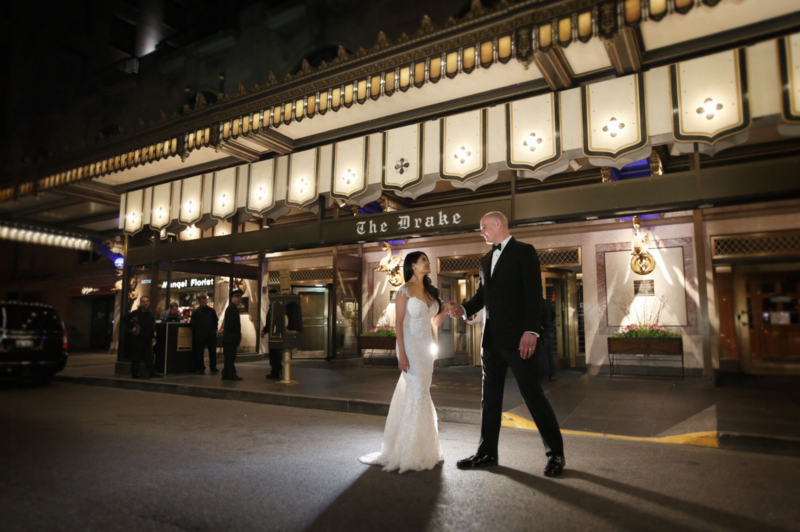 Lyndal and Neil’s wedding day was a celebration of worldwide romance and was the perfect Romantic Wedding at The Drake Hotel. The bride was originally from New Zealand and the groom was from the United States yet they met in Southeast Asia and lived in Tokyo. 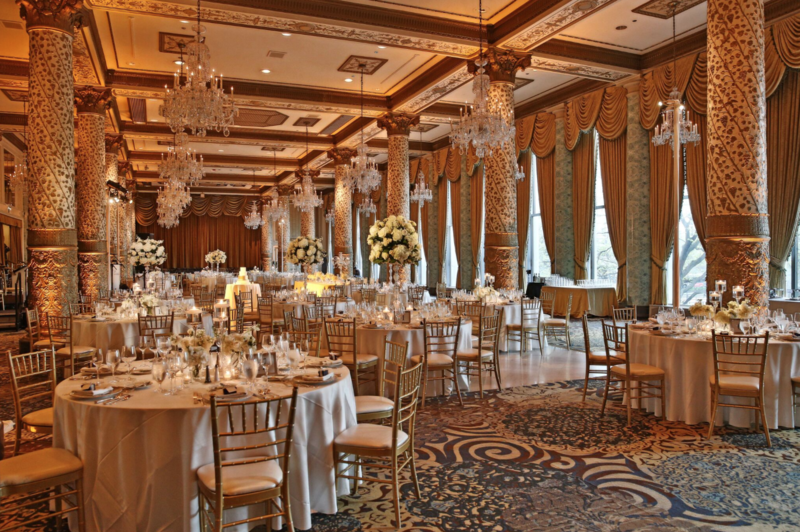 The Bride dreamt of an elegant, glamorous, and iconic reception. 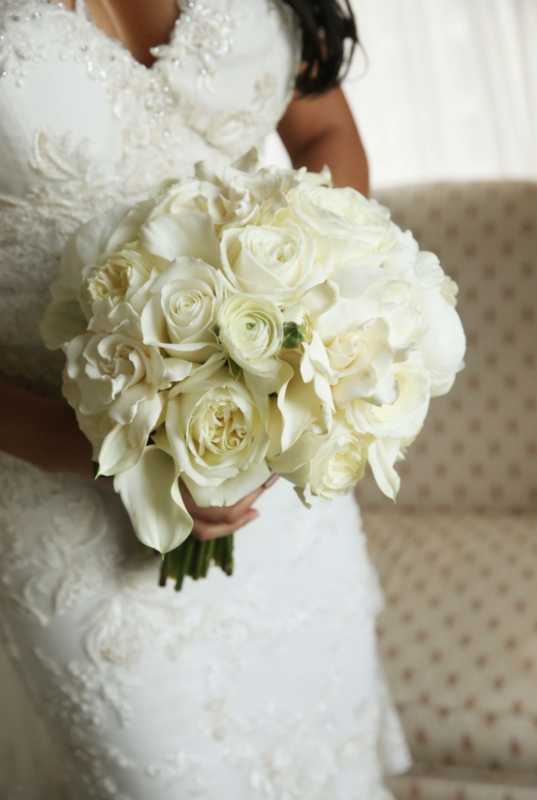 She spent the morning getting ready in the Drake’s Princess Diana Suite, which could not have been more perfect for her to spend time with her bridesmaids and family. 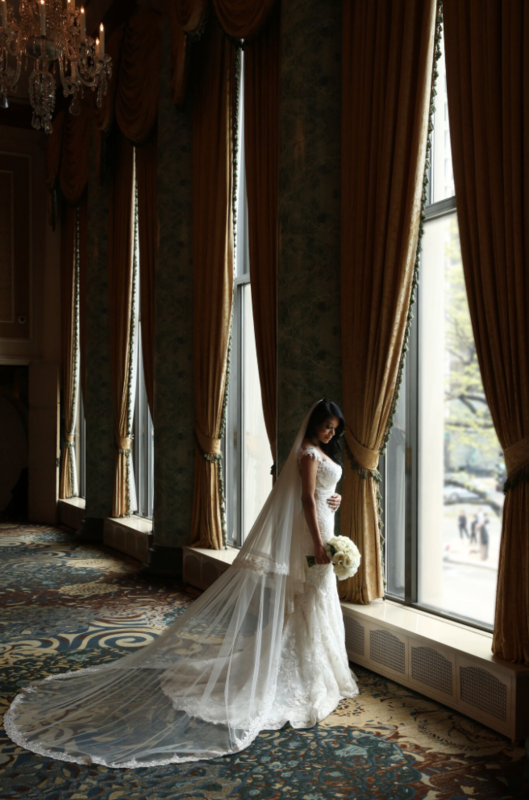 Lyndal stunned everyone in her Ghalia Lahav wedding dress, which fit like a glove. She was the epitome of Hollywood glamour. 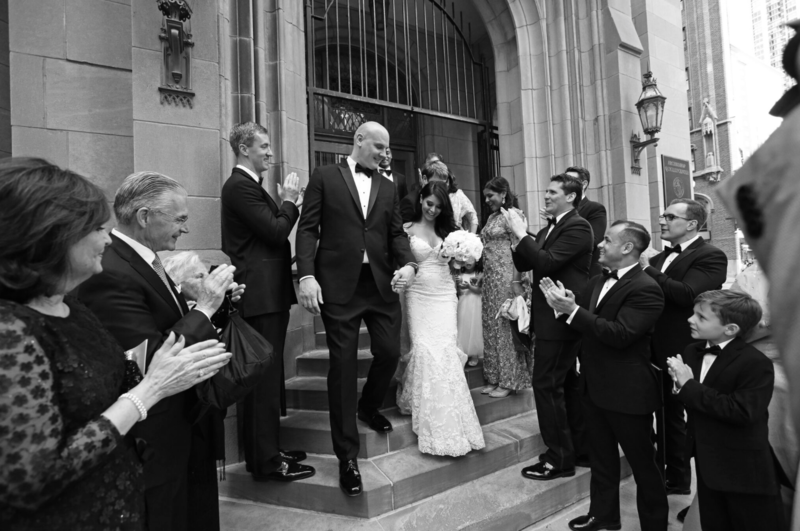 The bride and groom chose St. James Chapel for their ceremony. With its stunning stained glass windows and low lighting, it made for what felt like a very intimate ceremony even with all the pews filled up with their closest family and friends from around the world. 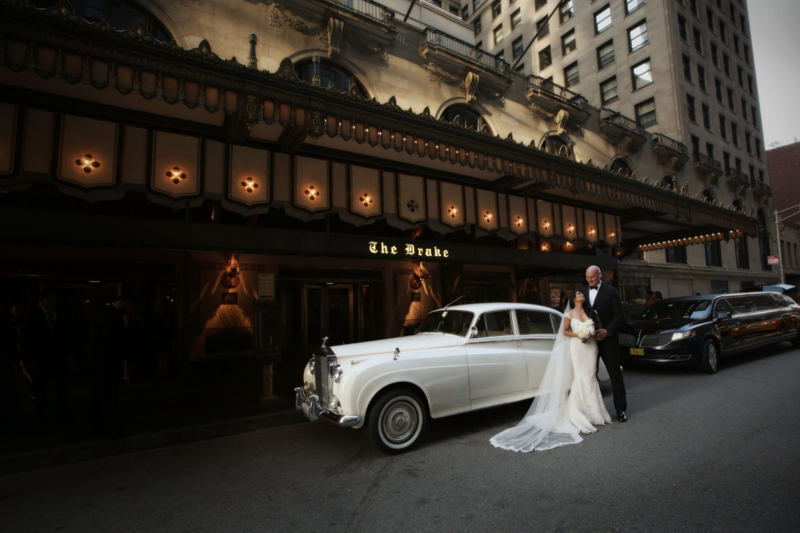 After the ceremony, Lyndal and Neil got in a vintage Rolls Royce and made their way to the Drake Hotel. 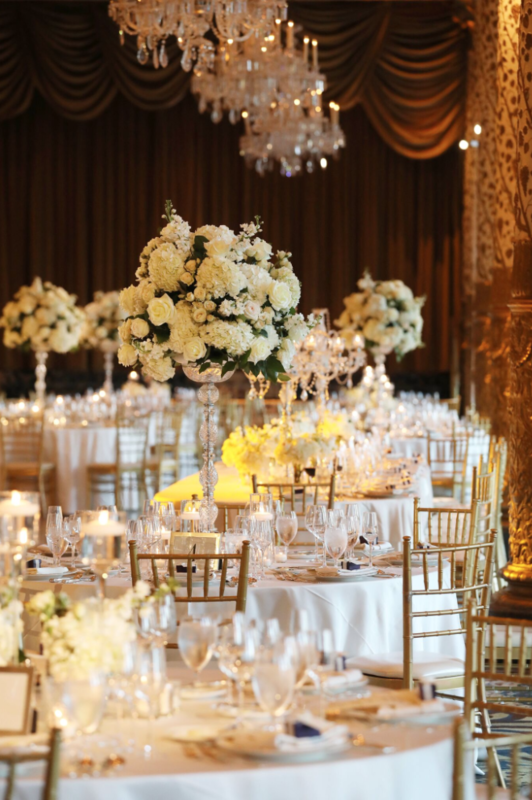 The Gold Coast Ballroom at the Drake was set with ivory linens, lush ivory floral, glamorous crystal candelabras, and gold accents throughout. 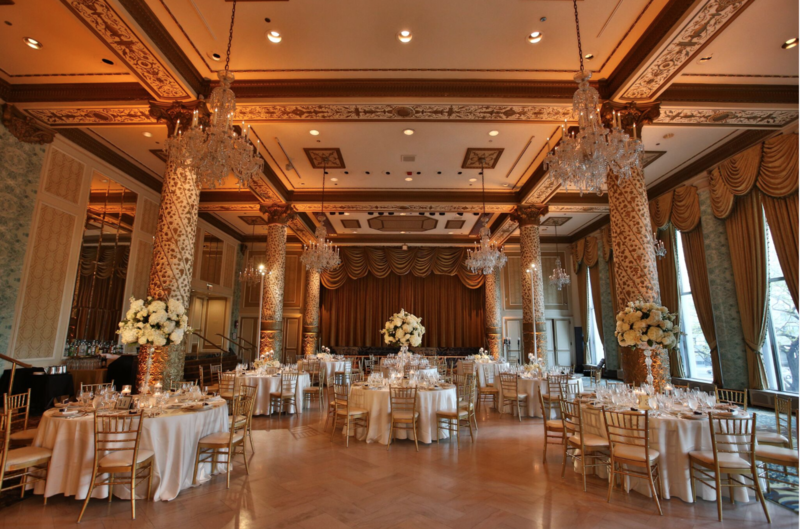 Dinner kicked off with the Drake’s famous Champagne Parade, which was a great way to welcome all of the guests into the beautiful ballroom. 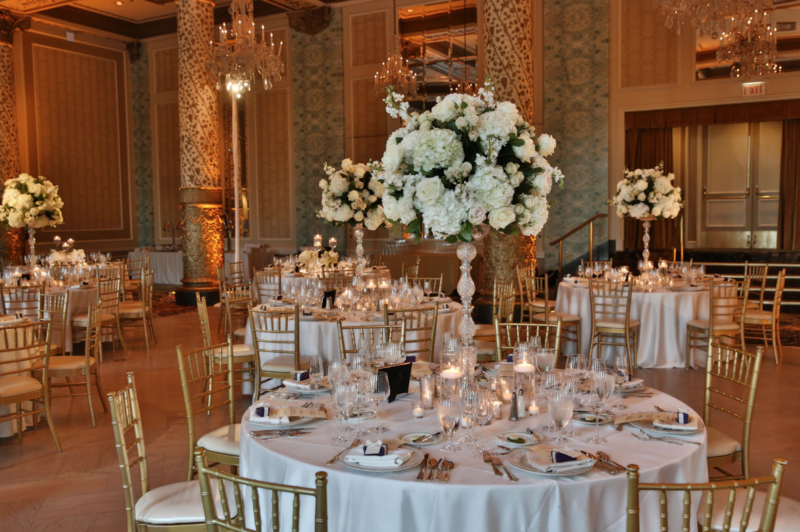 As the evening went on, the room truly sparkled with the touches of crystal catching the light from all directions. A favorite part of the evening was Rosemary Franti who created a series of portraits of Lyndal and Neil throughout the night during important moments like their cake cutting and first dance. Soon, it was time to hit the dance floor with music from TVK Orchestra. With guests from around the world, one thing is for sure – music definitely brings people together as witnessed by the packed dance floor! It was the most romantic night!